There is plenty of interest in Saudi Arabia in the Finnish school system. The University of Helsinki and the Ministry of Education of the Kingdom of Saudi Arabia have signed a contract on the education of Saudi Arabian teachers. The agreement is the first of its kind in the university’s education export efforts. It was signed on 15 March, and the programme will be launched in a couple of months’ time. A group of teachers from Saudi Arabia will remain in Finland until the end of this year. 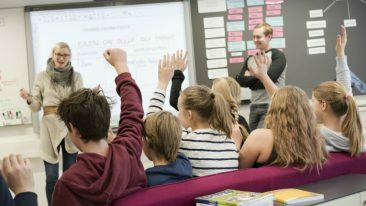 They will be taught English, receive pedagogical training and participate in practical schoolwork in schools in the city of Espoo. The children of the Saudi teachers will enrol at the Norssi Teacher Training School in Helsinki. The programme will be carried out in co-operation with Omnia Education Partnerships. The group arriving in Finland will consist of 100 teachers. 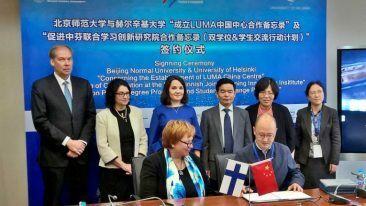 The University of Helsinki is to welcome 50 of them, whilst the rest of the group will be assigned to the universities of Turku, Tampere and Eastern Finland. The programme is commissioned by the Ministry of Education of the Kingdom of Saudi Arabia.